Well, I found out why I increasingly dislike the holidays — except for St. Patrick’s Day. On Sunday, I was attempting to put out one of those laser-beam lights that project red and green dots all over your damn house, and I missed a step on my back porch and sprained both ankles. I know what you’re thinking, and the answer is no, I had not even had a drop of alcohol. I did just watch the Bengals lose to the Browns, so perhaps I was preoccupied with anger and disappointment. 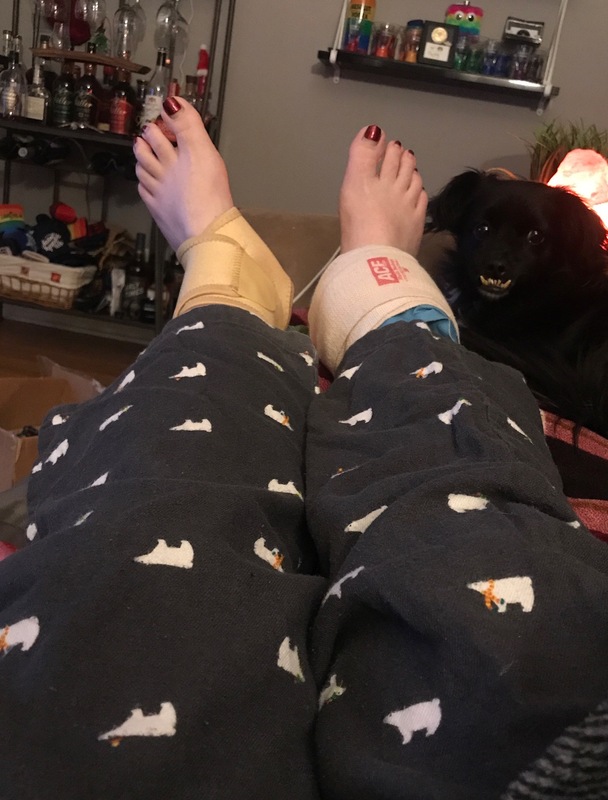 So for the past two days, I’ve been working from my couch, and icing my ankles and keeping them elevated. I’m able to walk around and wiggle my toes, so I made the assumption that nothing was broken. And the swelling isn’t crazy bad. It’ll heal, but in the meantime, you may see me walking as slow as bourbon-soaked molasses in January. I need to get one of those shopping cart scooters from Walmart so I can drive around downtown shouting at people and throwing handfuls of glitter at them. Just one more reason Christmastime blows. Oh wait, I did have one positive experience over Thanksgiving weekend. I won a Pappy from Kroger!! I managed to hit six of them last Friday night, entering my name in the raffle at each one. And while I stood out in the cold Saturday morning at the Liquor Barn Pappy raffle, waiting desperately for my number to be called, Kroger blew up my phone and gave me the good news.